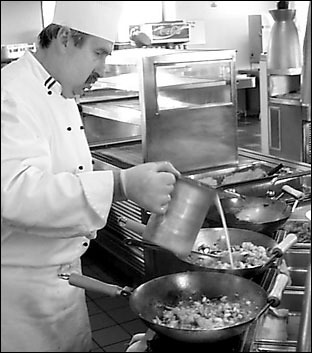 Jean-Pierre Metivier, executive chef for dining services, experiments with new recipes in preparation for the coming school year. The countdown has begun. Within a few days, the relative quiet of summer will give way to frenetic activity as tens of thousands of students stream onto campus for fall semester.